The concept of canine agility began in the UK in 1977 and quickly spread throughout the world. It is currently one of Britain’s fastest growing dog sports with training classes and competitions being held across the country. 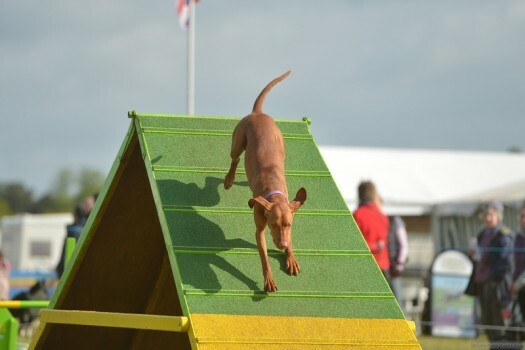 The aims of dog agility are very similar to show jumping – the dogs (with the help of their handler’s voice, movement and hand/body signals) have to complete a course of between 16 and 20 obstacles in the right numerical order, without any faults and in the fastest possible time. The best words the agility team can hear on completing a course are “clear round” meaning no faults! Tunnels i.e. open and collapsible…dogs LOVE the tunnels! Weave poles – here the dog is required to “weave” its way through a series of closely spaced poles (up to a maximum of 12 poles). This is without doubt the most difficult piece of equipment for the dogs to learn but, once they have mastered it, is the most spectacular to watch! “Contact” obstacles i.e. the A-frame, dog-walk and see-saw. These are obstacles that the dog has to run over while ensuring that they “touch the contact points” (painted a different colour) at the beginning and end of the piece of equipment. At training classes the dogs often learn with the help of toys or treats…but…when it comes to competitions these incentives are not allowed, nor is the handler allowed to touch the dog during the running of the competition course! But…you don’t have to compete…there are many owners who are happy to attend weekly classes for the overall training that it offers, socialisation (of dog and human), bond building with your four-legged charge and helping to keep both owners and dogs fit. Even better – agility training exercises the brain too…for both of you! So, hopefully, you can see that dog agility is a fun sport that helps to build a true partnership between dog and human. The league will run from 1st January to 31st December each year and is based on a points system (see below). New members that join later in the year will have their points backdated. The league is run on an honesty basis. At present there is no annual fee to join this league. We seek sponsorship for rosettes and end of year awards. This league is all about the dogs therefore if someone else handles the dog (for whatever reason) points may still be claimed. 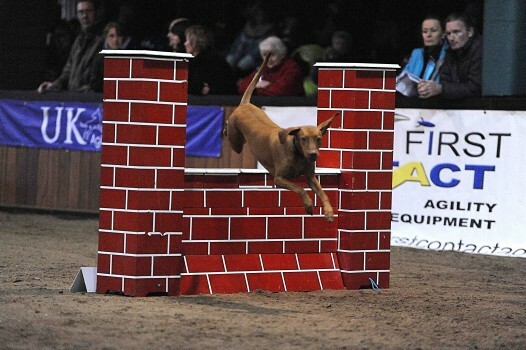 Points CANNOT be claimed from invitational events, leagues, single breed only and inter-club shows. Points can only be claimed if a “position” rosette is presented by the show (i.e. 1st, 2nd, 3rd etc), otherwise clear round points must be claimed. Clear round points can be claimed for Clear Rounds within course time even if no clear round rosette is awarded by the show. When claiming points we ask that you return the Excel Monthly Results Submission spreadsheet during the first week of each month. A copy of this spreadsheet will be provided for all members and is also available to download from the “Files” section on the groups Facebook page. We will provide league tables on a monthly basis. SO IF YOU WANT TO MAKE NEW FRIENDS AND LEARN EVEN MORE ABOUT THIS FANTASTIC, FUN SPORT…PLEASE JOIN US! The UKHVAL has gone from strength to strength since its inception in 2012 and currently comprises over 130 members (with more waiting in the wings!). 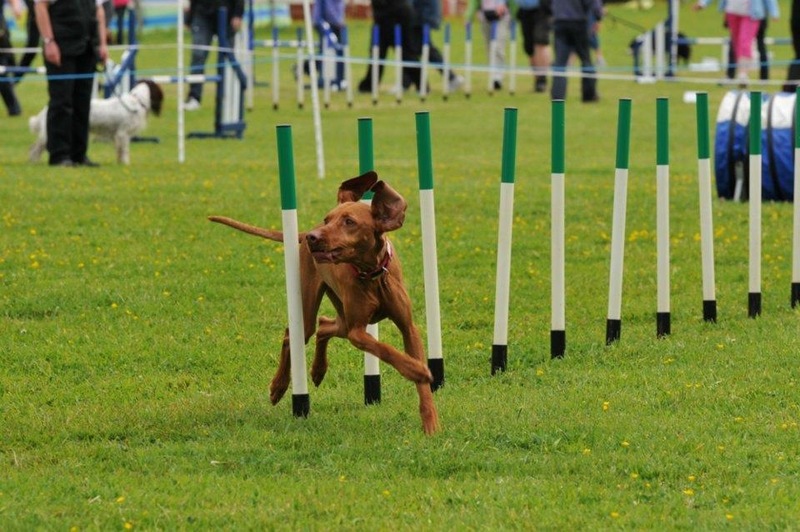 We’re an eclectic mix of individuals – from the very experienced to those who are just considering starting out in the agility world…and everything in between! 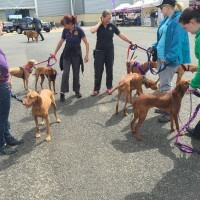 When you join us you’ll find that we’re a dedicated and caring group of people who just want the best for our Vizslas. 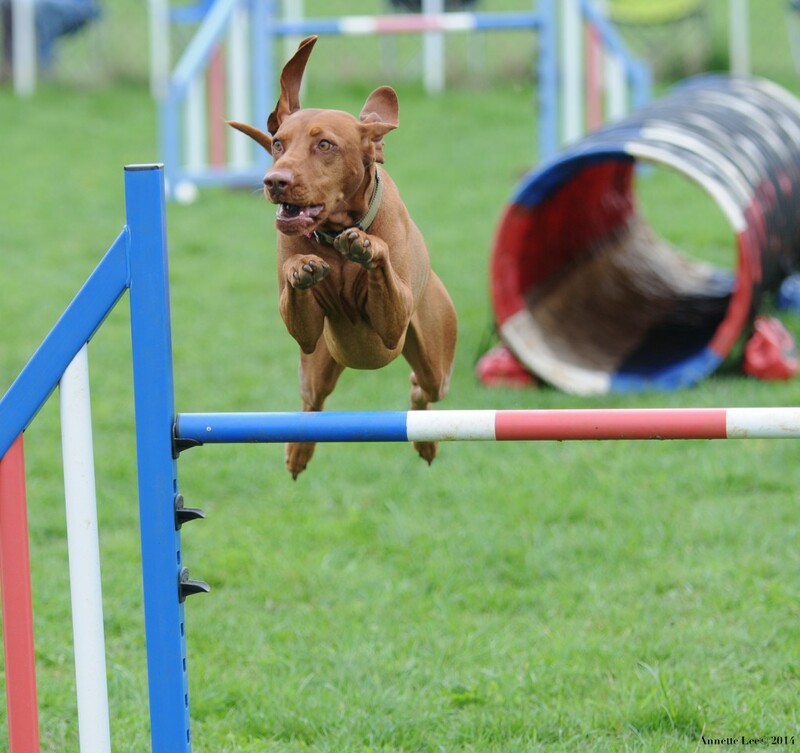 We believe that agility is an ideal way of providing that all important mental and physical stimulation that our precious breed thrive on – we would encourage anyone that is lucky enough to be owned by (!) 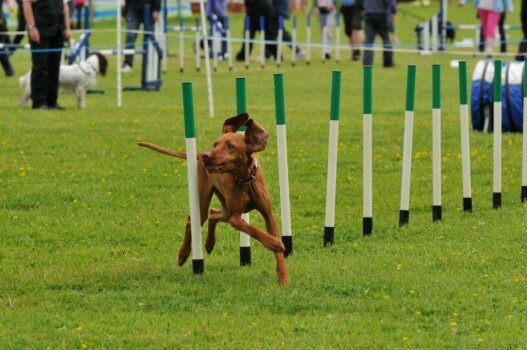 these multi-talented Hungarian Vizslas to consider starting this excellent form of training. WE’RE LOOKING FORWARD TO SEEING YOU ON FACEBOOK! 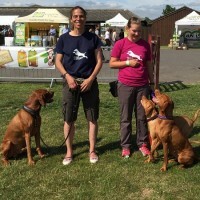 At the East of England Just Dogs Live Show (10-12 July 2015) 9 human and 14 ginger members of the HV & HWV Agility League aka ‘Team Ginger’ completed two agility demonstrations each day of the show. Our remit was to demonstrate agility training from puppy foundation through to competing dogs using positive training methods. 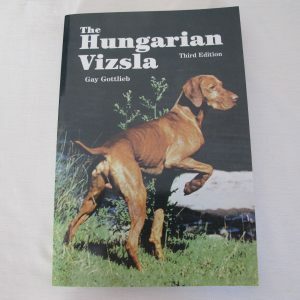 We had Vizslas (both smooth and wire) of varying ages, from 6 months to 10 years of age taking part. We were all a little nervous as putting on a demonstration was a first for us all. However, we received great feedback and we’ve been asked back next year! In addition to having a great time, we also raised £200 for Vizsla Welfare by donating our expense.